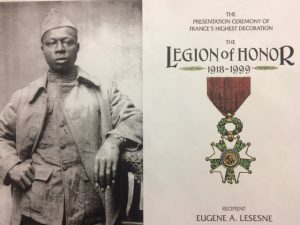 Spotlight On: African Americans In World War 1 | Soldiers & Sailors Memorial Hall & Museum Trust, Inc.
Artifacts associated with African American soldiers who served in World War I are rare and not often found in museum collections. In honor of African American History Month, Soldiers & Sailors Memorial Hall & Museum will be reaching into its archive to gather pieces that illustrate the important role that Black soldiers played during the war. Visit Soldiers & Sailors to see these cultural and historical pieces on exhibit.